Hiring a photographer is an essential part of building your brand image and presenting your business as the consummate professional organization you run. With all the work you’ve done to build your small business from the ground up, don’t skimp when it comes to representing yourself impeccably. 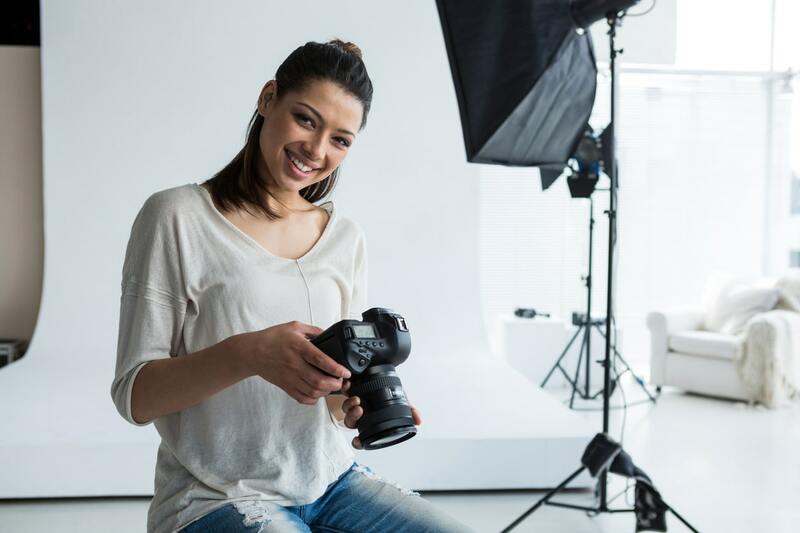 If you’ve ever wondered how to hire a professional photographer to generate images for your website, social media, and print materials, here are a few questions to ask to increase the chances you’ll be thrilled with the investment. 1. What does the fee include? 2. How can the images be used? This question of image licensing is technically part of what a photographer’s fee includes, but it is an important question to ask on its own. In most situations, the photographer retains the image copyright, but licenses the images for a client’s specific needs. Licensing fees can widely vary depending on whether the photos will be used to represent the business, staff, and products on a company website and social media, or if they will be used in commercial advertising. Before signing a contract make sure you’ve discussed what you intend to use them for and that the image license you’ve paid for is covered. Expect to pay more for a license that includes advertising. 3. Does this photographer shoot the kind of images I need? Event photography and commercial photography are completely different beasts that require a totally different mindset and skill set. Shooting live events involves rapidly changing lighting, capturing moments that can’t be recreated, and blending in with a crowd while being in the middle of the action. Directed photography requires posing, arranging, and lighting for people and/or inanimate objects. Being good at one doesn’t necessarily translate to being the right pro for both. When hiring a photographer, narrow your search to those with a proven track record for shooting the kind of images your business will need based on your brand, product, or service. 4. Is it a style match? Look extensively through a photographer’s portfolio, and imagine their images representing your brand. Photographers develop a style over years of work and training, and the work they shoot for you won’t be substantially different. Make sure you’re starting with someone whose work is capable of projecting the image you’re aiming for. 5. Can they recommend a team? There’s nothing worse than hiring a photographer to shoot your staff, only to get technically flawless images that feature sloppy subjects! Can your photographer recommend stylists for hair and makeup, if needed? Or can they provide a style guide before the shoot? To ensure images are consistent, staff should get advance notice regarding what styles/colors to wear (and NOT wear), and guidelines about appropriate hairstyles and accessories. 6. What is their reshoot policy? It helps immensely to communicate (extensively!) upfront about what your needs are, and a photographer who is unable to fulfill the contract should absolutely have a plan for reshooting and providing the expected images. However, there may be gray area in which–despite the images being technically correct and ample–they just aren’t what you expected. In this case, a photographer likely has no obligation to provide you with additional images, but most photographers really want you to be a happy client who will sing their praises and send them more clients! Don’t be afraid to ask about how they handle those requests and under what conditions they would consider reshooting images. 7. What do you need from me? You don’t need to hammer out the nitty gritty details before signing a contract, but this vein of conversation can speak volumes to a photographer’s preparation and professionalism. They should be able to let you know exactly what they’ll need, once hired, to organize and execute a shoot. Along with a detailed shot list, they’ll need you to communicate details to staff, gather products, or arrange introductions with staff and clients as applicable. If they can’t answer this question, you may be in for last-minute requests or disorganized communication throughout the process. What else would you want to know when considering how to hire a professional photographer?